superdumb supervillain: Who Ordered the Tarte? cheekstain in blushing bride looks gorgeous! I was something of a makeup junkie before I had kids. I used to troll cosmetics counters, trying all the newest colors and potions. Somehow, my daily beauty regimen has shrunken to almost nil. I've never been much of a foundation wearer, but these days it seems like I am hard-pressed to wear more than lipstick. Probably because I'm lucky if I have enough time to shower in the morning! Sales of all Tarte products that include the t5 super fruit complex™ also benefit Sambazon’s Sustainable Acai Project (SAP), a member of the Fair Trade Federation, which helps to preserve the Amazon Rainforest through forest conservation, improved living conditions and educational opportunities for communities in Brazil. So you can pretty yourself and the global environment, too. The infinite glow bestsellers palette is a chic compact that houses everything you need for summer beauty. Seriously. Mineral bronzing powder in park avenue princess, tipsy cheekstain and mayflower 24.7 lip sheer together in one supremely portable metallic croc mirror compact that snaps shut with a hidden magnet that is oddly satisfying to use, like all of Tarte's lovely compacts. Just pulling this out of my bag makes me feel put together. Seriously. I am also totally in love with clean slate primer. 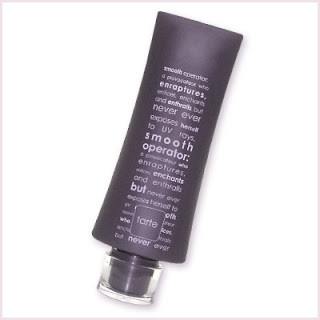 To enter and win smooth operator spf 20 foundation in veil (remember, it's for pale girls!) plus a double dose berry boost & gloss in acai boost (a $56 value! ), please comment on this post with your favorite item from Tarte. Feel free to tell me any silly makeup memories you might have, too. Entries will be accepted through August 28th and I'll pick the winner using Random.org. US readers are eligible. Only one entry/comment per person, please. P.S. On a beauty/fashion-related note, If you love this look (Hers, not his! Actually, I'm cool with him from about knees up. Not so into the pegged jeans and teeny pointy cowboy boots), VOTE FOR ME! Actually, even if you don't like the fashion, VOTE FOR ME! If I win, I'll get a Flip Video camera and maybe you'll get to see more motion in the ocean. Or on my blog, at least. I love love love cheekstain in blushing bride! So versatile! I like the Clean Slate Primer!!! Tarte's eraser concealer is the bomb! It stays on for hours and matches my skin perfectly. I love the Blushing Bride Cheekstain. I've tried a few of their cheekstains and all of them have been fabulous. Thanks for the chance to win! The Eraser Concealer is just what I need, I have hereditary dark under-eye circles! I like their double ended lip glosses, you get two great shades in one gloss. You can also mix them to create your own shade. I think that I'd really like the lights, camera, lashes! mascara! Thanks for sharing! i liked the lip couture! Thanks so much for the giveaway! Yeah! For once I'm glad to have a pale complexion. LOL!!! I would love to try the Peaches & Cream (limited edition) liquid mineral make up. It sounds WONDERFUL!!!! There is so much great stuff to chose from. It was hard to pick one. I never wore makeup willingly until I was about..24? Maybe older. My mom forced me to wear makeup for a few occasions like a school play, choir performanc, and prom. She sold Mary Kay so she was kind of aggressive. One year in middle school my mom gave me Mary Kay lipstick to give to all of my friends for Christmas or something. (or maybe a birthday? I don't remember). Anyway my friends made fun of me because they said it was "Dog's blood red." As a lip gloss lover, my favorite would be the sunglosses! Thanks! Living in the Pacific Northwest, I could sure us the glam gams bronzing leg stick! My first makeup experience was all about the blue eyeliner! I do love the cheekstain. It's quick and easy and well, makes me look "alive" when I don't have time to do the whole face. I'm pretty darn pale, so it'll be good for me! My friends laugh at me when I tell them I got a tan! you post makes me wanna go spend all my cash at Tarte! Natural Beauty checkstain is the way for me! I love stains! for my lips and cheeks. Definitely their Cheek Stain! I also want to try the FRXtion Sugar Scrub Exfoliator & Lip Balm Duo. I would love to try their enbrightenment, the tooth whitener/lipgloss combo! My favorite Tarte cosmetic is Tarte Lock 'n Roll - an amazing cream and loose eyeshadow duo that actually stays put all day long! I like the eye couture limited-edition day-to-night eye palette. It's even got gorgeous packaging! I like the Paris,Mon Amour Palette. All the color and cover I need in a beautiful handy little case! I love it. So cute. I think I could really use the Clean slate face primer. Used to use something similar and I definitely need it. oh, definitely the Blushing Bride Cheekstain! I would like the clean slate primer also. I like the 24/7 lip sheers in Salmon pink, and I am a pale girl! Although, the thought of comparing skin to celebrities is really unfair!! Our skin may be the same shade - but I am no Angelina Jolie! I too absolutely LOVE the Natural Beauty Cheekstain, I have it and use it all the time! The Clean Slate Primer sounds great, I would love to try it! I love the colors in the natural swirl cheekstain! I have never heard of tarte, but after looking at their website, I would really like to try it! I want to try the pressed mineral powder, tzone travel kit, and the vitamin infused lipsticks and glosses! I think the 'Eraser' is a great product. I want to try all their mascaras plus the indelible wink liquid liner & shadow. I like the Glam Gams Bronzing Leg Stick! 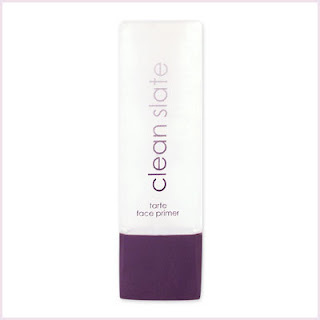 I haven't used any Tarte products yet but would love to try the Clean Slate Primer. Thank you so much! My fave is the personalized lipglosses - such a great idea! I love the emphasEYES! Being a stay-at-home mom of a 2 year old and pregnant with #2 this is so quick and makes me look more rested. A basic eyeshadow, this, mascara, and a gloss and I'm out the door in a few minutes! "Lights, camera, splashes" mascara! What a clever name. I'd like to try the lock & roll creaseless eyeshadow duo in gunmetal. Thanks! Clean Face Primer looks good to me. Thanks for the chance to win. Wow! I really love this make-up. You look so gorgeous and natural in your photos. There is so much at Tarte that I like but if I had to choose just one thing it would be the Rise and Shine lip stain and plumping gloss in mauve. Like you, I am lucky to get a few minutes to myself so lipstick is often the only beauty product I use most days. I am very fair skinned so this moisturizer would be great for me! Thanks for the chance! I love the sun glosses! I've always wanted to try the cheekstain blush. The custom glosses look great too. Thanks for the chance to win. The cheek stain is the best - its a fantastic product! Hard to choose, maybe the pressed powder. I love the 24/7 lip sheers. Eraser concealer and 24/7 lip sheers are my favorite. Thanks so much for the opportunity. I've always wanted to give the mineral makeup a try, so that's what I'd love to try the most. Thanks! I love the face primer..it really does work great! I can't live without eyeliner! hehe. I would love to try the emphasEYES high definition eye pencil. I love the double-ended lipgloss in Bogey & Bacall! The Clean Slate Primer works wonders! Those cheekstains look pretty amazing, but the custom lipglosses look cool, too. I would just like a big ol' bag of everything! I am a pale girl and have trouble finding makeup that doesn't leave a line of demarcation at my chin, so I would love to try this. powered by BORBA nutraceuticals looks wonderful! I love the ready-to-wear dual look palette. I love not having to dig for so many different things. I also love the colors. I have tried just about every brand of makeup and have many that are years old. I too am a makeup junkie. I'd like to try the vitamin infused lipstick! Thanks! I would love to try the Natural Swirl Cheekstain. I have never tried anything but powder blush. Thanks! I LOVE their cheekstain. So many uses, so much color! I really like the 4 day stay: lash stain. 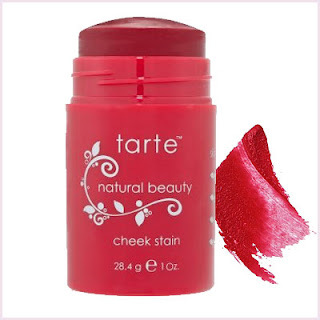 my favorite tarte product is the cheekstain - i'm very pale but i have actually used a few of the cheekstain colors with success - it's all about building layers! hope i win the foundation & lip product - it looks awesome. I've always been loyal to the cheekstains from tarte- they can't be beat! I like the Lips Ahoy lip gloss gift set. Great giveaway, thanks! I like the vitamin infused lipstick. I'm a big fan of the eye shadow duos and cheek stain, but I love just about all of their products! I'm pretty new to the line and I'd love to try more. we wish you health skinvigorating™ gift set looks pretty cool. I like the double ended lip glosses so you can have two different colors to go with your mood. I like the EmphasEYES Pencil. My funniest makeup moments have to do with each of my girls at various points discovering and applying my makeup. I love to see their idea of what looks good. My favorite is the cheek stain. I love this stuff. It shows up well but also looks like a natural from within flush. I like the blushing bride cheekstain. Funny you're giving away foundation for pale girls; just yesterday on my blog I was talking about my whiteness, and how it's produced the whitest children in America. I can't find foundation that's light enough; hopefully this will end my lifelong search. The BriteSmile® whitener & tarte lipgloss would be cool to try. You have great brows, by the way! skinvigorating™ gift set is awesome because it has alot of neat products in there. Hi! You did a great job on your makeup using the Tarte Products! I admit I love to experiment with makeup, but sometimes with 3 children time is an issue. So, when I don't have time, but I want to look pulled together and somewhat made-up, I like to use a fine pressed powder and a pretty coral-pink lipstick and that makes me feel natural just a bit enhanced. So, my favorite item from the Tarte Website is the Provocateur Pressed Mineral Powder SPF 8. This products sounds fabulous and good for the skin! I would love to win these 2 Tarte products from you and I am a Fair complexion! Hey that's me...I'm probably the palest chick you'll ever meet. I love that compact! Yes indeedy...I know exactly what you mean; there's something about the SNAP! of a purse or a compact that makes one feel quite girly and perfect! I've not tried cheek stain before, I really should since I am obsessed with having rosey cheeks. If nothing else, I apply blush when dashing out. You did a wonderful job on the makeup; you look very pretty! i like the clean slate primer. I like the idea of having something in my make-up case called "perma pout." Plus, there's something comforting about having it in the color "warm rose." Just sounds nice. Fun giveaway! Yay for pale girls! Natural Beauty Cheek Stain would be my favorite! I am obsessed with liquid cheek stains instead of powder or cream blush. I would like Clean Slate. I'd never heard of Tarte before, but I'm intrigued by a lot of the stuff I see on their site. I really want to try the 24/7 lip sheers. Always nice to get a tinted balm with sunscreen. I think I'd like the glam gams bronzing leg stick. I love the ready-to-wear/prêt-à-porter. It has everything in a compact case. What more could a girl want? The contouring brush looks fab !! Ok, I admit it...I do have beauty blunders so the Eraser would be my pick. Also, since I'm one of the "pale girls" I think this is an awesome giveway!! 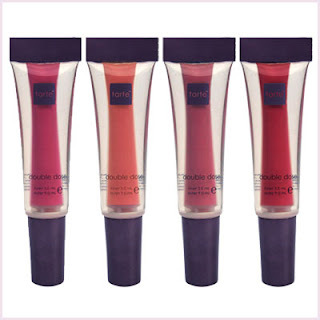 I would love to try the Sungloss Lipgloss Set! I am such a gloss junkie! Thanks for the chance to win! I think I'd like to try Peaches & Cream *limited-edition* Oil-free liquid powder mineral foundation SPF 20 = I have a hard time finding foundation for my skin type and tone. Clean Face Primer. Thank you for offering this. Im pale/freckly with red hair so I know this shade would be perfect for me!! I really like the eye couture eyeshadow compact. Thank you so much! The clean slate primer is amazing!! I spend a lot of time outside in the harsh Colorado sun, the 24/7 lip sheers with SPF 15 would be perfect for a girl like me! I like the Sunburst moisturizer. I love the ready-to-wear sets! Having pretty much everything in one place is the way to go for a busy gal like me. I have never seen anything like this before! This is one of the best ideas ever for makeup wearers. Check out the toolbox: brow know-how eyebrow kit! This should be the next giveaway! I'd love to try the Chocolate emphasEYES high definition eye pencil. Thanks for the giveaway. All their makeup looks yummy, but what I really want is the Brow Know-How eye brow kit! This paler that pale girl would love to win! I love the cheek stain in DollFace. Perfect for my pale skin! I want to try the Peaches and Cream. If I won, I'd give the spf 20 foundation to one of my pale friends, lol. 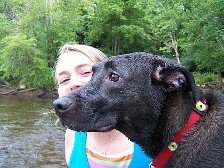 I've never seen a post featuring pictures of you, happy to see them. You are gorgeous. Love your full brows! I would like the t-zone travel.... we've all been there! The emphasEyes high defintion eye pencil in green...and I am as "pale" as they come so that foundation would be perfect for me. I'd like the Ready-to-wear set. Nice having everything in one place. Bronzing leg stick would be my choice. I am really pale so I want that veil. I like eye couture, love the colors! I like the face primer looks really good! i love the perma pout!!! i'm all about eyes so the lights, camera, lashes! mascara sounds great to me. I like the cheekstain in blushing bride. Thanks! i like the lights camera lashes mascara! I am a mascara addict! Hands down my favorite Tarte product is Clean Slate. The Lip Couture. The lip set contains many anti-aging and natural ingredients. My favorite is the vitamin infused lipstick in sweet dreams. I have never used Tarte (gasp!!) but I have always wanted to try the Cheekstain. thanx for the contest. I'd love to try the eye couture collection because I like playing up my eyes. I love eye couture limited-edition day-to-night eye palette. Thank You for the giveaway. I love everything I've tried from Tarte. I guess my fave is provocateur pressed mineral powder SPF 8 & compact. I want (ok need but whatever) the eraser! I'd love to try the Tarte's eraser concealer. I love Tarte's Lights, Camera, Lashes mascara. It makes my lashes look so intense! I love the t-zone travel kit. What a great combo. I would like to try the Tarte's eraser concealer. My favorite is the ready-to-wear/prêt-à-porter!! I've never tried Tarte (so much makeup, so little time) but I gotta say the double dose berry boost & gloss looks awesome in its packaging and is there ever such a thing as too much lip gloss? I've never heard of this Tarte before but I would love to try the double dose berry boost & gloss. I'm all about the lips! 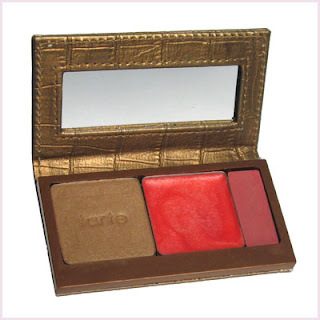 My favorite Tarte item is the lock and Roll Creaseless Eyeshadow in Shimmering Bronze. I still am a make up junkie even though I do not wear as much as I used too. My favorites are still the lip products. Tarte has a wonderful site and after looking it over really well, I decided I like the sungloss lipgloss set best! I love cheekstain because it looks like i blush all of the time,even when I am not!!! tartre in blushing bride - love it!!!! I haven't tried Tarte products before but the 24/7 lip sheers with SPF 15 would be nice to try. The eraser concealer looks really useful. Never heard of this line before, so thanks for the info! I like the vitamin infused lipglosses! I love the lip gloss duos! I would love the Limited Edition Day to Night eye palette, with the colors and the liner in it I could really do up my eyes. Silly make up thing, us girls found out lighting the end of our eyeliner pencils for just a sec made our eyeliner stay on forever,loved this trick till the day I forgot to blow the tip and burnt my eyelid, OUCH. I like the personalized lip glosses, for all the girls at my sister's wedding in December. 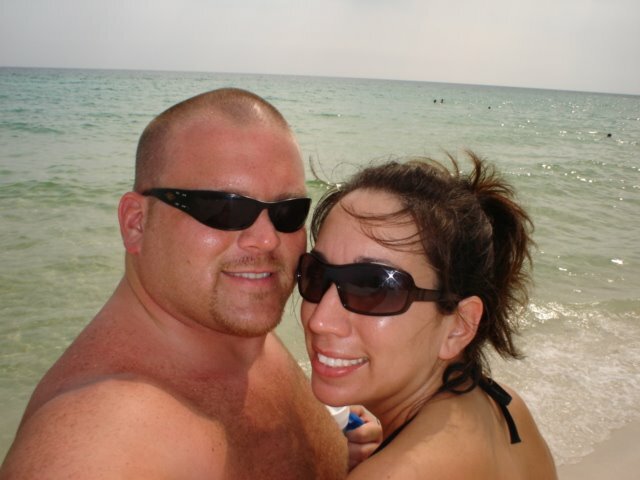 I love the sunburst beaded bronzing facial moisturizer. So many similar products are out there, but lots leave my face greasy after a few hours. The eraser sounds wonderful. Perfect for my undereye dark circles...and I love the fact that it says it won't crease! I would love to try the Clean Slate Face Primer! Thanks for the chance to win your great giveaway! 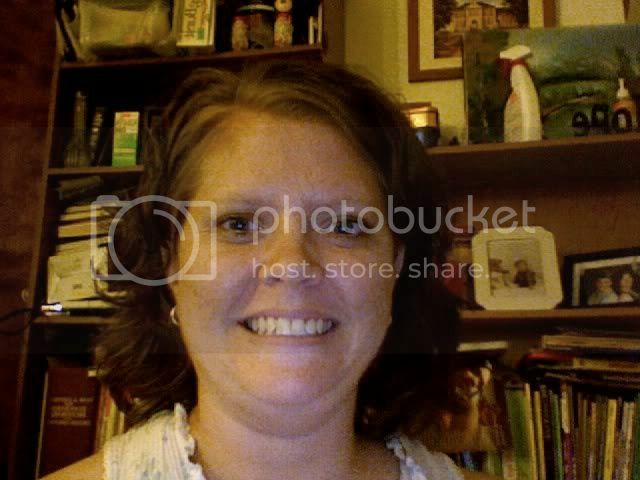 enbrightenmint: BriteSmile® whitener & tarte lipgloss looks great! The brighter your lip color, the worse your teeth look. This takes care of that all at once!